Around kathmandu valley trekking is match for the trekker or travellers who has limit holiday duration for the tourist and fit for the all age group traveller, famlies, students. 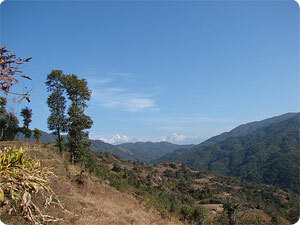 Around kathmandu valley trekking is an easy trekking Katmandu valley . Situated towards the north of the Katmandu Valley, due to its strategic location and convenience, Shivapuri was proclaimed as a watershed area supplying more than a million liters of natural spring water to the city. Katmandu valley Trekking gives visitors an opportunity to observe the rich Nepalese culture tradition from the closest quarter and intermingle with the locals. The narrow mountain paths take you through dense forests and quaint villages. And in the background the magnificent presence of the Himalayan peaks are always there, providing its magnificent panoramic mountains scenery with more than thirty mountains over 6000m. Starting from: By Car/ Hiace from Katmandu to Nagarkot. Himalayan sights: Mt. Everest. Ganesh Himal, langtang .etc. Splendid breathtaking place: The people and touch it’s culture. Day 06: After breakfast, our tour guide will take to for historical monuments sightseing in kathmandu valley such as Bhaktapur, Pasupatinath, Boudhhanath, Kathmandu durbar square and Monkey temple(swyambhunath) and in the evening farewell dinner in Restaurant, overnight at Kathmandu in Hotel.